Although I meant to follow Andy’s advice and write something fun, I quickly became lost in the weeds. After wandering around for weeks…or was it months?…as the trail of my life became more and more faint, I pulled to a stop and just sat. I could not see the path forward. Sadness overwhelmed me. A dark cloud gathered above me. Big, cold raindrops splattered down, soaking me through and causing me to shiver. I had dropped into a funk. Right as I was about to slide off my donkey, however, and go back to my old way of being, Deer wandered by. Not deer-the-animal, but Deer-the-Energy that guides all deer and animates them with their special qualities. Deer turned from me and stepped forward, parting the succulent weeds to reveal a faint, earthen path. 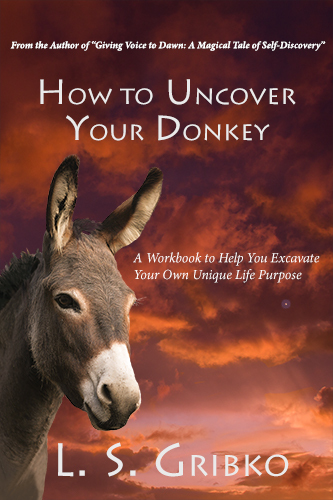 I nudged my donkey gently in the ribs and we lurched forward.